This is an intervention in Broadcasting Public Notice 2008-12 opposing the licence renewal of TFO. I oppose renewal because TFO’s claims about captioning its programming are incorrect, ignorant of the broadcaster’s own history, or lies. TFO additionally proposes to lowball audio description. Here’s what’s really been happening with TFO and captioning: TFO has been in noncompliance with CRTC licence expectations and has put off captioning till the last possible minute. TFO already serves minority populations. Its executives just cannot get their heads around the concept of a minority within a minority, i.e., deaf Francophones in Ontario. They’re OK with other minorities, like Muslim and black Francophones in Ontario, and they even grit their teeth and put anglophones on the air (complete with atrocious French accents), but really, nobody at TFO got into this business to do captioning. So they haven’t. Unfortunately, that gig is up. Costs for captioning are a cost of doing business according to previous ruling, CRTC 2004-10 (“the cost of offering closed captioning is part of the expense of holding a broadcasting licence”). TFO compte sous-titrer au moins 75% de sa programmation durant la journée de radiodiffusion au cours de la présente année (2007–2008). Unfortunately for TFO, the current CRTC standard is 100% (Broadcasting Public Notice CRTC 2007-54). The Commission cunningly failed to clarify whether or not that level of captioning was retroactive. Perhaps CRTC was waiting for a test case; if so, here it is. Clearly the 100%-captioning policy took effect the day it was introduced, 2007.05.17. TFO’s requested captioning ceiling undershoots its requirement by 25%, hence TFO will be in violation of licence right there. Nous nous engageons à sous-titrer au moins 85% de notre programmation durant l’année 2008–2009 et au moins 95% en 2009–2010. The standard is 100% and it applies from day one of the licence. The promise listed above would also put TFO in violation of licence. Puisque nos émissions en direct peuvent contribuer jusqu’à 5% de notre programmation, nous comptons demeurer au niveau de 95% tant que la technologie ne permettra pas de sous-titrer ce dernier 5%. And here TFO continues a proud French-language-broadcaster tradition of nakedly lying about French captioning. 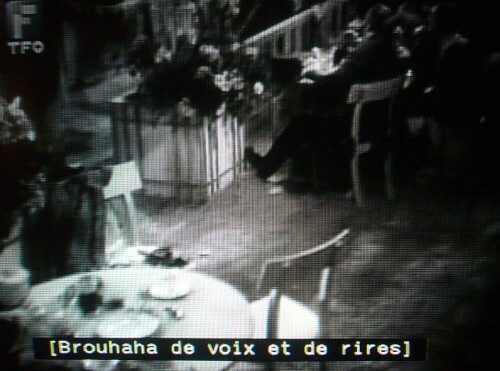 Real-time captioning in French has been possible for 17 years. But French-language broadcasters simply refused to do it – and they were abetted by Francophones at the CRTC, who rubber-stamped the lie that French captioning borders on impossible. As a result, there was low demand, meaning there was low demand for practitioners, which later gave French broadcasters yet another excuse not to caption in French. In point of fact, two different French adaptations of English-language stenotype equipment are in existence. The technology Radio-Canada chose, inevitably, is the worse of the two. The other technology has long since been bought out (by the Americans) and buried. But that technology was used on-air during a high-profile period starting in October 1996. Who used it? In that period, TFO’s newsmagazine Panorama was real-time-captioned for its 7:00 broadcast, with captions cleaned up for live display during a late-evening rerun. This, incidentally, is the right way to caption a live show that is later repeated, and it is something not a single broadcaster in this country bothers with, as it costs an extra penny. What TFO says is impossible has been possible for over a decade. TFO did it already and will now have to do it again. It must also be stated that a cadre of academics, with a technology to sell and a set of grants they want to secure, has been pushing what is incorrectly called voice-recognition technology for live captioning. It is in fact speaker-dependent voice recognition, and, based on existing experience with French-language House of Commons broadcasts, it is barely adequate on a good day. Nonetheless, that technology exists. Even if stenotypy were unavailable, speaker-dependent voice recognition is. In short, TFO lied in its application. 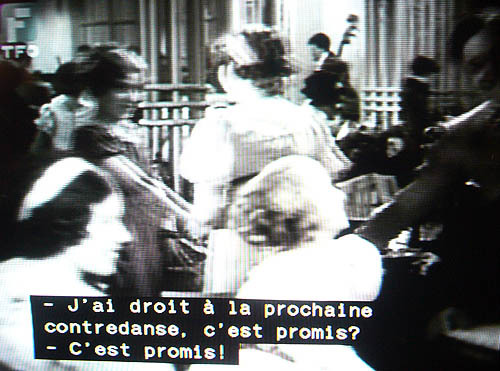 It insinuated that live captioning in French is impossible when TFO was, at one point, a leader in providing such captioning. TFO’s claims, while self-serving and readily disproved, are merely the latest examples of dishonesty and untruthfulness from French-language broadcasters, whose default response to any question on captioning is to tell a lie. That’s what TFO has done here. I have a few other questions in this regard. How will TFO caption Volt ? Obviously French-language dialogue must be captioned at 100%. But so must lyrics and sound effects in music videos – including English-language videos. And such videos have to use pop-on captions. Why hasn’t TFO provided a plan for this difficult program? Very much in particular, how does TFO plan to caption any live Volt specials, like bingo and New Year’s episodes? What about subtitled movies? Subtitling isn’t captioning even if unilingual Francophones can’t tell the difference (as they are both sous-titrage ). Subtitling isn’t sufficient for a deaf audience. A subtitled movie aired without captions is an uncaptioned program and itself puts a broadcaster in violation of a 100%-captioning requirement. TFO is not known for its acumen in this regard, so let me explain for them that captions on a subtitled production notate sound effects, identify speakers, and render unsubtitled utterances. Given the many deathly dull, early-20th-century, black-and-white foreign-language films with which TFO pads its schedule, what is its plan to caption subtitled movies, including untranslated utterances in languages other than French? As recently as 2008.02.29, the film Voyage en Italie was aired with French subtitles, exactly one visible caption for a sound effect, and no other captioning. Unsubtitled English utterances were not captioned. What about musical programming, like TFO’s many interminable jazz shows? These too have to be captioned, and music must be fully rendered and not simply indicated with staffnotes. What are the consequences of TFO’s choice of captioner? After an exhaustive search, we are told, TFO settled on a company in Quebec. How much more captioning could TFO secure if the cost of sending tapes by courier to another province were redirected back into captioning? How will a captioner in another city caption any of several quick-turnaround programs on the network? 100% of programming, across the 24-hour day, must be captioned, including live segments and segments in English. The requirement kicks in immediately (in fact, it is already in effect). Note that “100% of programming” includes bumpers, promos, and interstitials. Scrollup captioning cannot be used for fictional narrative programming of any kind. Pop-on captioning must be used for all music programming, including music videos in any language. No centred scrollup under any circumstances. Mixed case and full accents must be used without exception. Subtitled programming must be captioned. Not content to cheap out on the deaf, TFO tops itself by cheaping out on the blind, too. Pour chaque année de la période d’application de la nouvelle licence, TFO compte diffuser, en moyenne, au moins une heure d’émissions canadiennes en mode descriptif dans chaque semaine de radiodiffusion. Cet engagement repose sur l’hypothèse que TFO diffusera au moins 26 demi-heures originales par année. Toutes les vidéo-descriptions seront canadiennes et, en moyenne, au moins 25% de l’heure hebdomadaire seront constituées de diffusions originales. The French for “audio description” is description sonore , not vidéo-description . Fifteen minutes a week of new description is a slap in the face to blind and visually-impaired viewers. The CRTC will of course rubber-stamp it, but let’s not pretend it is adequate in any respect. Four hours a week, of which no more than 25% may be repeats, is more like it. TFO has not explained exactly who will carry out French-language audio description, of which there are no remotely competent or reputable practitioners anywhere on this continent. Perhaps they’ll shop on price. Isn’t that the norm at TFO? TFO’s licence should be revoked unless it lives up to the same requirements for accessibility every other broadcaster must live up to. Those are inadequate in the first place, but at least TFO would no longer be able to think it is special or exempt. Special and exempt are two of the many things TFO isn’t.